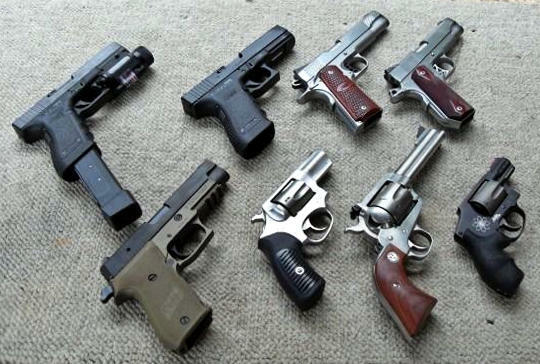 A federal agency and a trade association are offering a reward for information in the theft of firearms in West Virginia. The Bureau of Alcohol, Tobacco, Firearms and Explosives and the National Shooting Sports Foundation are offering up to a total of $5,000 for information leading to a conviction in the theft of firearms from Gun Runner in Fairmont. Two people burglarized the business on May 5 and removed 67 handguns and ammunition, then took a 2013 pickup truck belonging to the business. The truck was recovered in Washington, D.C., but parts and components for radio-controlled airplanes that were in the truck bed were not recovered. Anyone with information should contact ATF at (800) ATF-GUNS, or (800) 283-4867 or the Clarksburg field office at (304) 842-9830; or ATFTips@atf.gov; or http://www.atf.gov/contact/atftips .